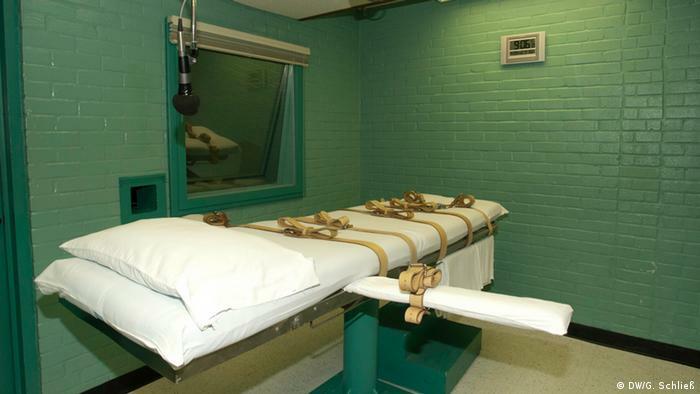 Judicial errors and torturous executions have fuelled renewed debate over the death penalty in the US. 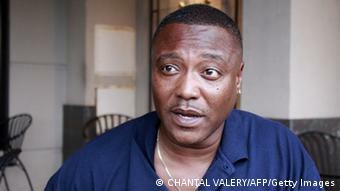 Former death row inmate Anthony Graves was proven innocent and released after more than 18 years in prison. SheJuan Oliphant has no doubt that the death penalty is necessary. "Without it, the crime rate would definitely be higher," the young woman says. She works at Texas Car Title and Payday Loan in Huntsville, an hour's drive from Houston, and just a few hundred meters from the very spot where Anthony Graves was meant to have been executed. Huntsville has gained notoriety as the place where Texas capital punishment is carried out behind the local jail's brick walls. Texas is the state with the most executions - altogether, 1,270 people have been killed by the law here. More than 280 inmates are currently waiting on death row. And yet Oliphant is adamant: "I have zero tolerance for people going around and killing people for no reason, killing babies and families." A federal appeals court halted Robert Campbell's scheduled execution at the prison earlier this week. Like Oliphant, Campbell is Afro-American. The delay came so late that Campbell's family had already arrived to witness his execution and were waiting in the jail's parking lot. Such a stay, says Criminal Justice Department spokesman Jason Clark, is within the law and not at all unusual. Campbell would have been the first US inmate to be executed since the botched execution in Oklahoma two weeks ago, where Clayton Lockett died of a heart attack 43 minutes after receiving untested drug injections. His death has given rise to a renewed debate over capital punishment, with the result that President Barack Obama has ordered an investigation into the implementation of the death penalty. But Clark doesn't doubt the Texas authorities' expertise: "We've carried out 33 executions with pentobarbital single drug and have not had a single incident," he says. "When you're comparing Oklahoma to Texas, it's not the same." Graves' execution date in Huntsville was postponed twice. He was finally released from jail after more than 18 years behind bars after his case was reviewed and he was found innocent. Graves was the 138th death row inmate to be released in the US. 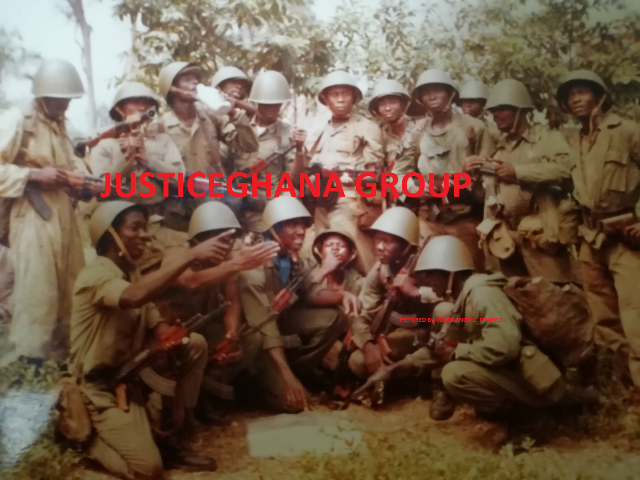 Graves spent those 18 years mostly alone in a windowless cell, staring at death in the knowledge of his innocence. His naivete, the belief that he could not be executed for something he knew absolutely nothing about, saved his life, he says. "It was my naivete that allowed me to stay hopeful," Graves says. He was shocked when he was arrested and questioned, and devastated when he was sentenced to death after months of uncertainty. So was his family. "It was hell for my whole family," he remembers. "It broke my family up; nobody knew how to deal with this, my mother in particular: her son on death row." People, he adds, were not kind. Graves was released three and a half years ago, and has since been trying to put the pieces of his life back together again. His sons are no longer children, but men with children of their own. After such a long time in solitary confinement, he had to get used to society, and moving in larger groups of people. "I don't know how he survived that and remains a happy person today," says Houston attorney Kathryn Kase of the Texas Defender Service. 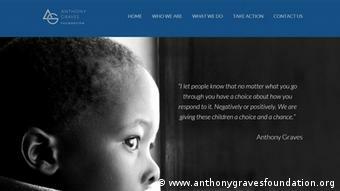 With the funds he received for his wrongful conviction, the former inmate created the Anthony Graves Foundation, which looks after all the matters he missed: family support, lawyer training, and public campaigns. Today, Graves is a sought-after speaker who sits beside respected attorneys and politicians at various events. One of these is Mark Earley, a former Republican attorney general of Virginia, who changed his mind completely on capital punishment. Virginia carried out 36 executions during Earley's tenure, but today, he says the death penalty should be abolished, considering it "very likely unconstitutional." Four percent of all inmates sent to death row are wrongfully convicted, according to a conservative estimate by the National Academy of Science. 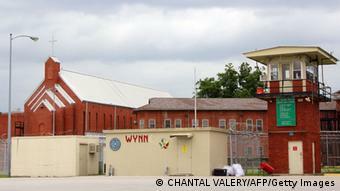 At present, more than 3,000 people are on death row in the US. "Anybody can get sentenced to death," says Graves. "Anyone could've been in my shoes." But the US should be striving for the moral high ground, he adds, because the whole world watches America: "Executing your own citizens is not setting a good example."